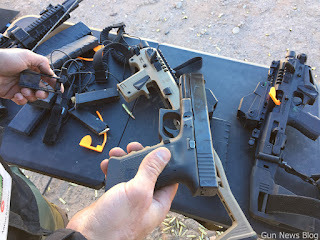 This conversion allows shooters to have more stable shooting platform with just a Glock. It was not hard to get 200 yard shot with this conversion product. 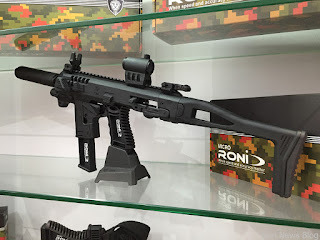 It has thumb rest off support hand, slide release, charging handle, folding stock. 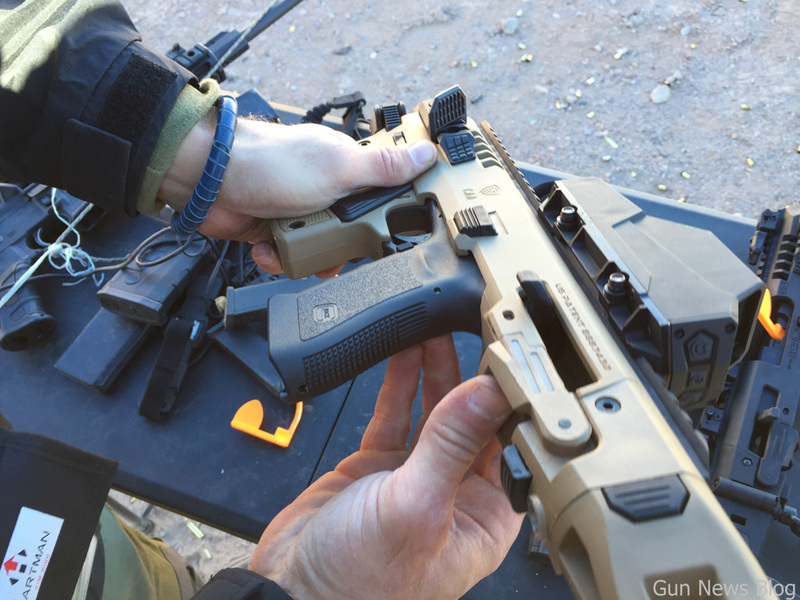 To install, user has to put the charging handle on the slide, stick the pistol in the frame, lock it and that's it. 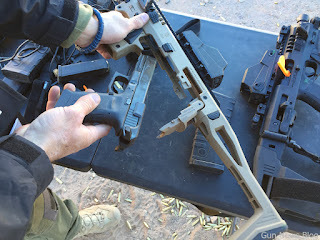 One draw back is that it maybe difficult to lock the slide back when without an empty magazine.